I was reminded about Law & Order: Criminal Intent listening to the most recent episode of The Tobolowsky Files, in which actor Stephen Tobolowsky discusses his life and career, in this case focused on his experience acting on different series within the Law & Order franchise. It’s not that I’d entirely forgotten about Criminal Intent, but it will forever become the weird “second spinoff”: it ran for a long time, but it feels like it’s been off the air for a long time, despite the fact it only ended in 2011. Part of this stems from its move to USA for its final four seasons, certainly, but there’s also the sense that in the grand scheme of things Law & Order started it all, Law & Order: SVU outlived the original, and Criminal Intent just kind of existed in between, a byproduct of a brighter age for the franchise. Tobolowsky makes a strong case for the value of procedurals in the episode in question, and it certainly brought me back to how much I enjoy—and enjoy writing about—Elementary. And yet at the same time, though, there can be weeks like this one where the most interesting thing about an episode structurally is the fact that it’s riffing off of Criminal Intent’s central conceit, in which we spend time exploring the psychology of the criminal while simultaneously exploring the psychology of the slightly off-kilter detective who’s working to get inside their head. For as much as the character dimensions of “When Your Number’s Up” speak to what makes the show distinct, the episode’s structure reminds us that even minor attempts to mix up the series’ structure are only going to run into the frameworks of other crime procedurals who have sought to do the same—in fact, beyond simply focusing more on the killer’s story in this episode, the shift to the “why” instead of the “who” is also the exact premise of ABC’s Canadian import Motive. Spending more time with Alicia Witt’s Dana Powell is an instinct that I like more in theory than in practice. I’ve spoken in the past about the fact we rarely get to explore the “why” in episodes where the killer isn’t revealed until the very end, and this ostensibly solves that problem: the end of the cold open reveals she is the killer, and we get various clues in the early scenes that point toward the eventual motive. Sherlock and Joan eventually get their own sets of clues, reach the conclusion Powell did it, and then solve the case in time to keep her from claiming another victim or the check that was to be made out to her following her husband’s wrongful death in a plane crash. The shift of the mystery from who to why retains the traditional structure Elementary follows in a given episode, but offers enough variation to distinguish itself from the episodes around it—in theory. In practice, I just never felt it worked. I like Witt as an actress, but the character’s motives were almost too pathological—the exposition in the scene where Dana’s sister confronts her about her lifelong “obsession” with money read more as the backstory of a cheap comic book villain than a character with the psychological complexity to battle with Sherlock. What made Criminal Intent work—when it did, at least—was that there was the sense of two forces colliding, but Powell’s energy was not that of an archvillain or really much of a villain at all. All of the details about the case ended up feeling put-upon, relying heavily on statistics and allegorical notions of personal worth that are interesting but never actually felt tied to the character. It all felt very affected compared to the show’s usual storylines, and therefore seemed disconnected from the series’ tone. When Sherlock eventually catches Powell, and concludes the interrogation with an overly poetic flourish in which he asked her what she believes she deserves, it didn’t feel satisfying in the way it aspired to, and the episode suffered as a result. The character dimensions of the episode are more productive, although they felt more disconnected than usual from the case being solved. Sure, we could say that the theme of what we’re worth is tied to Sherlock’s concern regarding Joan throwing herself into her work as a reaction to Andrew’s death, but it’s thin, and it seemed like the case was just “something that they’re kind of looking at every now and then” rather than something shaping their behavior. The eventual resolution—Sherlock confesses to renting Joan’s apartment to protect her independence in case she changes her mind, Joan moves her office into the heretofore unseen basement of the Brownstone to find independence under the same roof—is meaningful but also makes a case for watching an edit of the episode that exclusively focuses on the scenes where they discuss it directly. None of it seemed to bleed into the typical procedural scenes, which more than usual seemed to be happening in their own universe. And that’s the problem when a different show tries to hook to Criminal Intent’s model or move outside their own in different ways. That show, at least when it was effective, was built with a writer’s room and a structure that understood the challenges of making both sides of a story compelling enough to follow in a given episode. 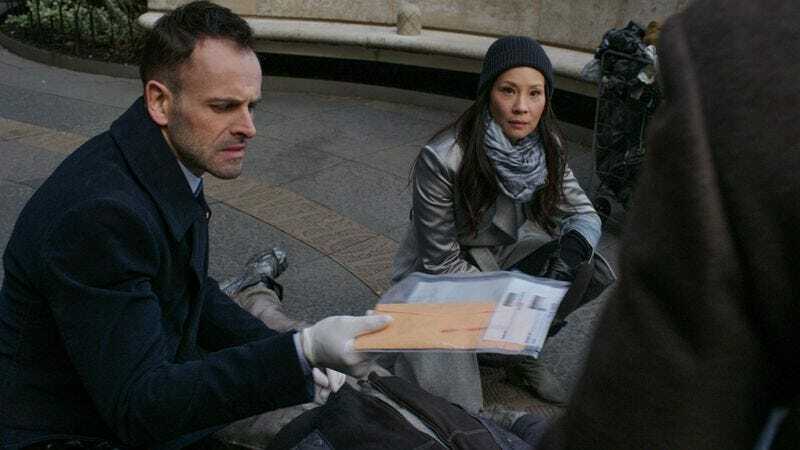 Elementary, by comparison, struggled to craft a killer storyline that could sustain itself next to the character dynamics that work so well, a disconnect that made this a failed experiment; if they wish to repeat it, some work needs to be done to pull the storytelling together more effectively. Writer Bob Goodman cited The X-Files as a point of reference for the episode on Twitter, an interesting notion I’m not convinced was born out in the episode itself. The increased focus on the killer also gives the show more options for act breaks (crucial in ad-supported procedurals): while investigative breaks (the fake third shooting, Joan realizing her husband was sick based on photos) are used later in the episode, they get a bonus act break out of the second murder when they’d normally only have the first. I think I eventually came to understand the financial premise of the victim’s compensation logic in the episode, but when it was first being discussed I just heard a lot of numbers and some vague reasons why they gave people motive. I also know they were discussing Torts, which is definitely something my law school friends post on Facebook about. Law! My attention shifted, meanwhile, to thinking through the ideology of the killer: she was obsessed with money and killed using the lawyer’s formula (suggested she had internalized its meanings), and yet her financial future was dependent on her repudiating that formula, which she did by publicly supporting that formula, during which we saw very little evidence of an ideological struggle over this. Beyond “because serial killer,” I had a tough time wrapping my head around the logic, much as Joan struggled with the political statement of the first killing. Canon or Not-Canon? 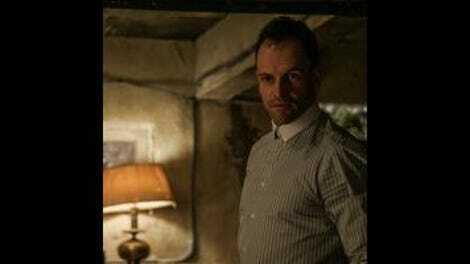 : Sherlock walling himself in 221B? It sounded like a throwaway, but anytime they mention Baker Street I wonder if they’re nodding to something. Maria Dizzia joins the ranks of Orange Is The New Black actors showing up on other New York shows, moving from Polly to Penny in what amounted to a pretty insignificant part. Clyde Watch: Look, I haven’t asked for much. I’ve accepted that Clyde won’t appear in every episode; I’ve forgiven the show for long stretches without Clyde when the storyline required it. I believe I have been more than fair. However, the idea that Joan moving back into the Brownstone did not merit even a brief appearance by Clyde as he adjusted to no longer being split between the two living arrangements is frankly absurd. He could’ve been helping Sherlock pack up her apartment. He could have been among the items Joan moved into the basement at the end of the episode. There were so many opportunities for Clyde in this episode that his absence, I’ve decided, is a direct slight against his character, and against his place within this show. And I won’t stand for it.